Have you checked your phone today? Mobile users are obsessed with their phones (count me in, I can't get enough!). We use our phones for any number of mundane tasks. We might argue that it makes those tasks a little more enjoyable or convenient. From booking appointments, creating lists, setting reminders, sending emails, messaging friends, playing games, to shopping, our smartphones have become a permanent fixture in our daily lives. It's time to utilize the power of mobile as was done in the past, for once new, but now traditional media channels (radio, television, direct mail). It's time to make mobile part of our marketing strategy. Not in the exact, same way as we did with traditional channels, but in a way that aligns with the shifting consumer journey. Never before have we been able to reach consumers on such an intimate level. The best part, consumers are opting in to engage with brands! Here are 18 mobile marketing statistics that explore why mobile is a crucial component of any marketing strategy. 1. There are 4.92 billion mobile users globally. That is equal to 66% of the total population and is a 5% increase from 2016. From 2016 to 2017 mobile has grown by more than half of the previous year's growth. We went from 81 million new mobile users in 2016 to 222 million new users in 2017 (We Are Social). If it wasn't already, I think it's safe to say mobile is here to stay. 3. 9 out of 10 consumers would like to use messaging to talk to businesses. Messaging has become the consumer-preferred channel for communication. It can be an excellent tool for customer service. (Twilio) For a list of ways to engage consumers using mobile, check out 25 Ways to Use SMS. 5. 32% of senior mobile experts surveyed see "creating personalized customer experiences," as their greatest long-term growth potential for mobile products. (Incite Group) There is an incredible opportunity to build customer databases that will help segment your mobile users for more effective marketing messages. 14. Mobile adblock usage grew by 108 million to reach 380 million devices. AdBlock usage has become mainstream across all generations. (PageFair) This is why #8 can be very useful; SMS is a powerful tool when it comes to reaching and engaging your consumers. 16. 57% of users say the main reason for not downloading apps is that they don't see a need for them. This is followed by 25% saying they don't have space on their phone. (Deloitte, Global Mobile Consumer Report) While apps can be useful in some cases, they are also expensive to create. For 2018 consider alternative engagement tactics that don't require apps such as mobile contests, coupons, or gift-with-purchase. 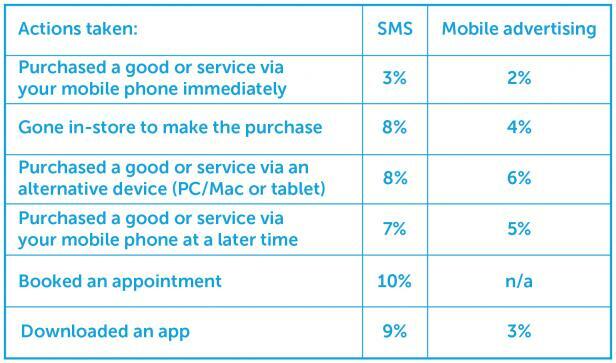 SMS is an effective method for consumer engagement. With higher response rates than traditional media channels and more consumers opting in to communicate with businesses, SMS will be an important channel for marketing communication and customer service in 2018. 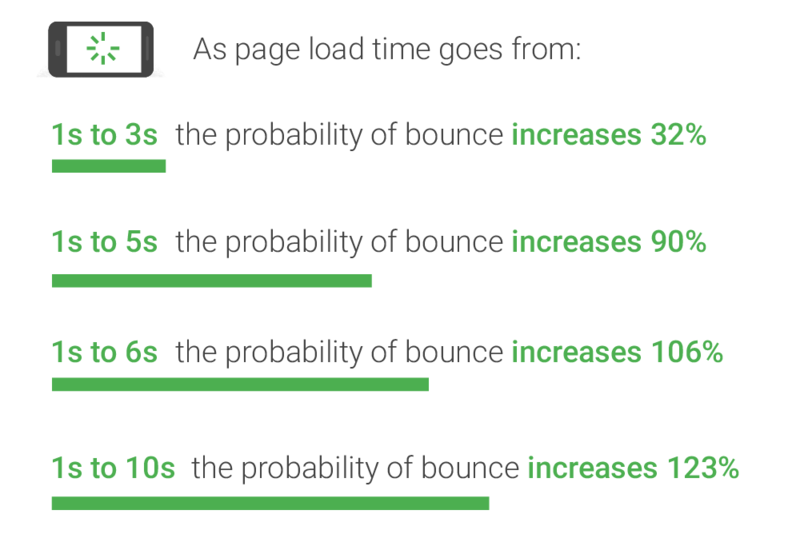 Optimizing your website for mobile is no longer an option, it's an absolute necessity. Not only do consumers expect a smooth user experience, mobile commerce is growing and more consumers are shopping on mobile. Mobile is not specific to Gen Z, Millennials, Gen X or Baby Boomers, it has managed to infiltrate all generations. And while some uses may differ, consumers from all generations can be reached on mobile. Discover more about how you can engage with consumers on mobile using easy to deliver mobile marketing campaigns.